In short, it's about the interaction of Mathematics, Science and Engineering. As we move through the chapters of life, we all learn by doing. In our vocations, be it educator, lawyer, scientist, engineer, parent, or farmer, we all polish our skills and gain expertise through our series of experiences. A novice may become an expert through hands-on experience. Employing models for hands-on learning is a central notion behind HOM. The underlying aim of HOM is to foster the understanding of Earthly and Astronomical Mechanics, how the world and universe behave, while keeping the prerequisite mathematical appreciation of the viewer at a minimum so as to serve a wide selection of viewers. How Can We Construct Hands-On Experiences that Viewers Can Share with the Authors? 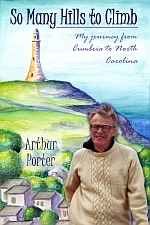 What is there that both the authors and the viewers can share in experiencing? If the topic was Chemistry, we could tell the viewer what chemicals and instruments to purchase. If it were English Literature, what books to buy or borrow? But what if the topic was navigation in space? The answer is for both author and viewer to employ models that will provide the same experiences to each. Physical models, such as toy balloons, could be possible in some cases, but what about mathematical models? The story of the development of Science is a story of mathematical modeling of all we see and conjecture. We have learned how to predict the tides, the motions of the planets, and the occurrences of comets and how to design space vehicles. Mathematical modeling can be used to provide experiences but how can they be shared between author and viewer? The history of mathematical modeling has been one of model extension expansion and of improvement to the predictive quality of models. The development of flight simulators over the years provides an excellent example. Along side this improvement and interacting with it, has been the development of computing through Analogue Computers to Digital Computers. For an excellent, albeit lengthy, history of Flight Simulator development at NASA see Black Magic and Gremlins. Eureka! Almost every one who would have an interest in HOM has access to a digital computer. But they may not be computer programmers. What to do? Our answer is to model using a Spreadsheet, a computer application that is ubiquitous throughout education in Science and Engineering. A major HOM thread is to treat mathematics as a tool, a means to an end, and to learn about nature and mathematics in the process. That is, Applied Math. Aspects of applied math that are emphasized in HOM are the tools of Approximation and Optimization used in Smoothing, Fitting, Maximizing, Minimizing and Solving. Another thread of HOM is to eschew the mathematically tractable and pursue the more challenging. Although topics such as Heat Flow, Investment, and Statistics are touched upon, much of the content of HOM is concerned with Dynamics in Earth's Atmosphere. A thread that can be noticed in HOM is the ever-growing complexity of the models. Another thread is the references made to some of the great contributors to the path of Mathematics, Science and Engineering over the last many centuries. Lastly, HOM presumes that the viewer has a, possibly musty, pre-university math background. HOM reviews and builds from that point. Chapters 1 through 3 are about mathematical methods and the spreadsheet. Subsequent Chapters develop modeling of motion in atmosphere in one, two and three physical dimensions. Chapter 1: The first three topics of Chapter 1 are devoted to explaining the Spreadsheet and sharing examples of spreadsheet functioning. The fourth topic employs the spreadsheet to illustrate the theorem of Pythagoras and to introduce sines and cosines. The fifth topic employs the spreadsheet to determine the ratio of a circle's circumference to its diameter and estimates a value for pi. 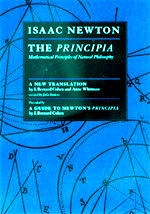 Chapter 2: This chapter uses the spreadsheet to introduce concepts employed in Numerical Optimization and Approximation, Bounding, Polar Coordinates, Limits, Orthogonal Functions, the Macro, the constant e, Numerical and Analytic solution of a simple Differential Equation, Irregular Payments at Interest and Continuous Compounding. Chapter 3: This chapter explores and applies Numerical Methods. Numerical Integration is applied to Tabulating erf(x). An approximation is then derived that avoids the need for table look-up and interpolation. The Central Limit Theorem is applied to find the mesh sizes for two screens to be used in a sorting machine at a food processing plant. A general-purpose numerical integrator is applied to calculating some math functions, by solving ordinary differential equations using a spreadsheet. Means for integrating a list are shown. Some error properties of Multiple Integration are explored using 61 rectangular quadrature spreadsheet integrators, to integrate a sinusoid. Output of the first integrator acts as input to to the next, and so on. Feedback around the set of integrators to avoid the use of the initial input sinusoid is explored. Chapter 4: This chapter is about vertical motion in the atmosphere, with constant gravitational acceleration and constant atmospheric density. The differential equation for a falling body as affected by atmospheric resistance is presented. This equation does not have an analytic solution when, as is commonly the case, the resistance is proportional to velocity squared. Numerical solutions are seen to be obtained readily and are explored. Modelling the fall of toy balloons is employed to illustrate the process. A spreadsheet model for falling bodies - an emulator or calculator - is then described and may be constructed by the viewer. A web-based version of the calculator is available from the "1D Calculator" tab of HOM. The model is used to explore the behaviour of falling raindrops, clouds of fog, hailstones, and objects dropped from the Tower of Pisa. 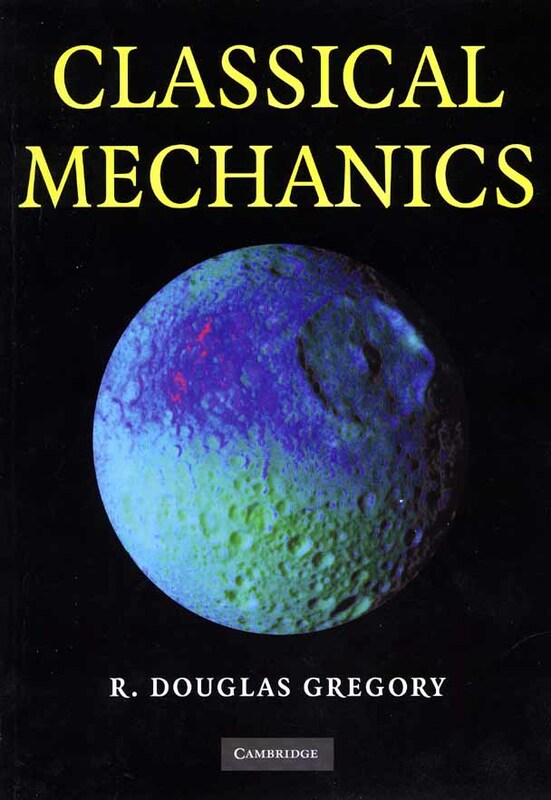 Chapter 5: The model presented in Chapter 4 is expanded to cover both vertical and horizontal components of motion, with gravitational acceleration and atmosphere density both altitude dependent. The effect of buoyancy is included. The method used to derive HOM's atmospheric model of density versus altitude, is given, as is HOM's extension for the altitude range 1000 km to 40,000 km. The Standard gravitational parameter is introduced. The incorporation of the foregoing notions in a spreadsheet model suitable for the study of ballooning and ballistics is described. The spreadsheet embodiment requires the use of a large macro. As writing such a large macro may challenge some viewers, it is also made available for viewer downloading from HOM's Download tab. HOM also provides a corresponding web-based calculator available from HOM's 2D Calculator tab. The spreadsheet is then used to model the altitude-record skydive from a balloon at about 31,330 metres. Chapter 6: Applications of HOM's atmosphere model in conjunction with the 2D calculator are continued with modeling the behaviour of weather balloons and pressurized balloons and the ascent of the record-skydive balloon. Ballooning applications are followed with projectile applications such as, escape velocity, the HARP project and the supergun. The standing altitude record of a gun-fired object is modeled. The Babylon Gun is discussed. The M203 grenade launcher is modeled using the web-based 2D Calculator. Considerable attention is given to its ballistics. The calculator can be used to hone one's skills as a gunner. Some paintball launchers are based on the M203. Chapter 7: Modeling in Earth's atmosphere is extended to three dimensions and includes Earth's rotation. Terms and relationships used in describing orbital motion in and out of atmosphere are provided. A detailed description of a spreadsheet macro to model trajectories and orbits both in and out of Earth's atmosphere is given. The spreadsheet is used to explore the conclusions of Kepler as extended by Newton and to demonstrate the finding of a complete orbit from only a few observations of that orbit. Chapter 8: The 3D spreadsheet is first used to model a geostationary orbit about Earth and then Earth's orbit about our Sun and systems for expressing the passage of time. Next a polar orbit, used for providing radar images to ground stations, is modeled. The spreadsheet is used to model the sub-orbital shelling of Paris in WW1 to demonstrate the effect of Earth's rotation when aiming at a distant target. The chapter then describes the procurement of a database to determine the state at the time of Main Engine Cutoff, MECO, of passenger-carrying Orbiter and its External Fuel Tank, ET. That state information is then used to model the path of the jettisoned ET to its splashdown in the Indian Ocean and, in the next chapter, to model Orbiter's continuing path to its rendezvous with the International Space Station, ISS. 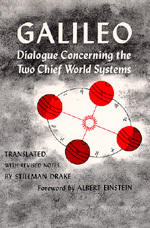 The chapter concludes with comments on Newton's thought experiment for explaining orbits and on Gerald Bull's dream of employing a cannon to launch a satellite into Earth orbit. The Final Chapter - Chapter 9: The authors have found only very general information on the Web about the navigation of Orbiter from MECO, Main Engine Cutoff, to the ISS, International Space Station. As a result of this lack, Chapter 9 is devoted to providing plausible details of the navigation process that are all of our own invention. 1. The availability of timely and accurate position, velocity and orientation information for both Orbiter and the ISS. 2. A near-perfect adaptive model that requires little time to operate and can be used to predict the effect of Orbiter either coasting or applying thrust on its future position, velocity, and orientation. 3. A computer-controlled means of applying thrust directed radially, or directed at an azimuth angle in its current tangent plane, or a combination of the two. The need for computer control of the thrust stems from the time-varying orientation of Orbiter with respect to the radial direction originating at Earth's centre and the corresponding orthogonal tangent plane. These concepts are then coupled by the use of feedback to maintain the applicability of the model, that is adapting it, and to provide navigational corrections. Chapter 9 concludes with a summing up of HOM's presentations, an item for the viewer to ponder and the suggestion that the reader look at the HOM's Postscript for the views of the authors on the future direction of space exploration. All pages have two strips of navigation tabs, the top strip for links to resources: the Prologue, this Introduction, the Background, Download, Calculators, the Postscript, References and Contact-Us. The tabs of the lower strip are for navigation through the chapters. Each of these tabs links to an outline describing the chapter's topics and each topic description links to its topic. All portrayals and exhibits on the pages of this website, with the exception of material that is expressly attributed to others, are © 2007, 2008, and 2009 by the designers of this site. These site designers and contributors are Gordon Lang, Bernard Homonick, Chi Lee, and Sylvain Louchez. Chi Lee is also the webmaster. Bernard Homonick is also the promotion manager.